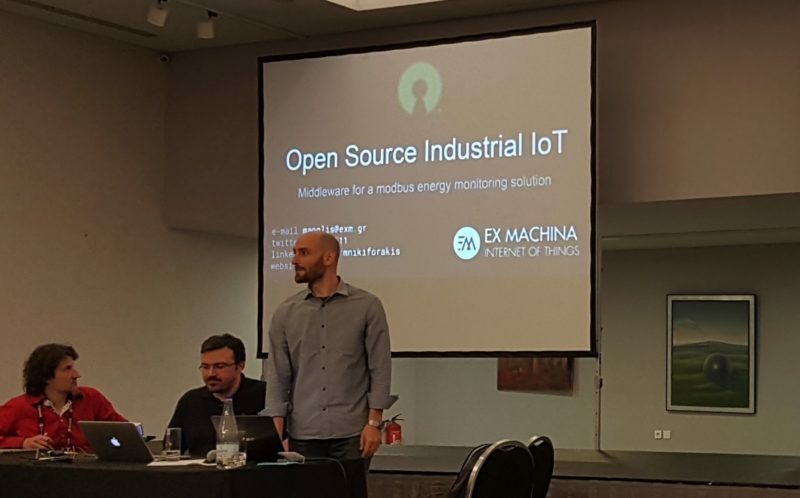 In early May, Ex Machina, one of the 8 winners of the first open call, presented its progress with the AGILE platform to professional IoT developers and advanced IoT geeks in Athens. 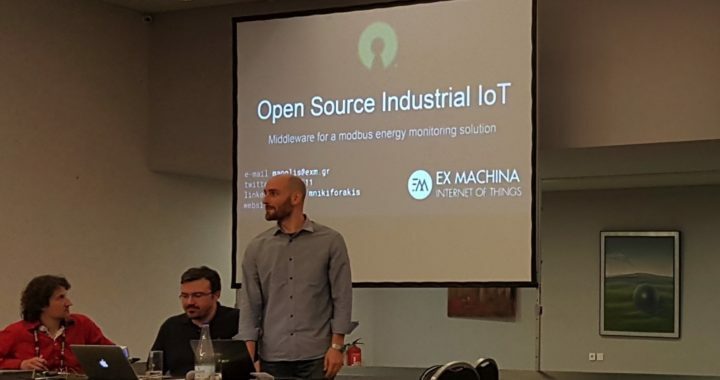 Manolis Nikiforakis, Ex Machina CEO, described an environment for building powerful industrial IoT solution, using a typical energy monitoring use-case as an example. The Ex Machina solution is built on open source technologies like Eclipse Kura, Eclipse Kapua, Eclipse hawkBit, Thingsboard.io, Agile-IoT, Resin.io, Node-RED, openHAB, Raspberry Pi, ESP8266/32, Modbus, and MQTT. Posted in Open Calls, Technologies and tagged ESP8266/32, Ex Machina, Hawkbit, Kapua, Kura, Modbus, MQTT, NodeRED, OpenHAB, Resin.io, Thingsboard.io.